Contemporary Acupuncture takes an ancient therapy and re-defines its mechanisms and effects using present-day scientific understanding of human physiology. At first glance, Contemporary Acupuncture may look strikingly similar to traditional Chinese acupuncture. Small thin needles are inserted into various points in the body, including hands, feet and scalp, and left in place for a period of time before removal. At times the practitioner may attach a small electrical device to one or more needles to aid in treatment and at other times may choose to use no electrical input. However, considerable differences exist between Contemporary Acupuncture theory and the traditional Chinese approach. In contemporary acupuncture, your practitioner follows a scientific view and treats you only after a medical/neuro-functional diagnosis has been made. The Acupuncturist can be used as a treatment modality along with other therapeutic approaches, as needed. In contrast, a traditional Chinese acupuncturist makes a diagnosis in terms of complex theories regarding disturbance in the body’s balance that needs to be corrected with needles. These imbalances will often be characterized by excess or deficiency with respect to what are considered the five elements, water, fire, earth, metal and wood. Traditional Chinese acupuncturists subscribe to the theory that certain points in the body are characterized by each of the five elements. Acupuncture produces many of its effects by stimulating local nerve receptors in skin and muscle. Various substances are released that cause an increase of local blood flow that encourages tissue healing. 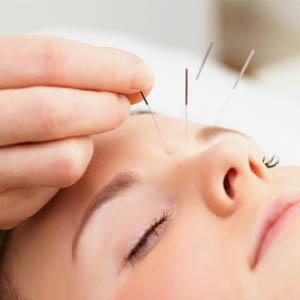 Acupuncture helps to reduce pain and dysfunction locally where the needles are inserted and throughout the body. Acupuncture helps to reduce pain and dysfunction by stimulation at the central nervous system. Acupuncture can inactivate myofascial trigger points. The contemporary scientific explanation of acupuncture is that needling certain points in the body stimulates the nervous system to release chemicals in the brain, spinal cord and muscles. These chemicals will change the experience of pain, or they will trigger the release of other chemicals and hormones which influence the body’s own internal regulating system. The improved energy and biochemical balance produced by acupuncture results in stimulating the body’s natural healing abilities, and by promoting physical and emotional well-being. One of the strengths of contemporary acupuncture is its safety compared with other treatments interventions. Serious side effects are very rare. Only single use, sterile, disposable needles are used.